Today’s post is by guest blogger, Louise Laferla. Mrs. Laferla is married to Ivan and is the mother of two sons, one of whom is gay. 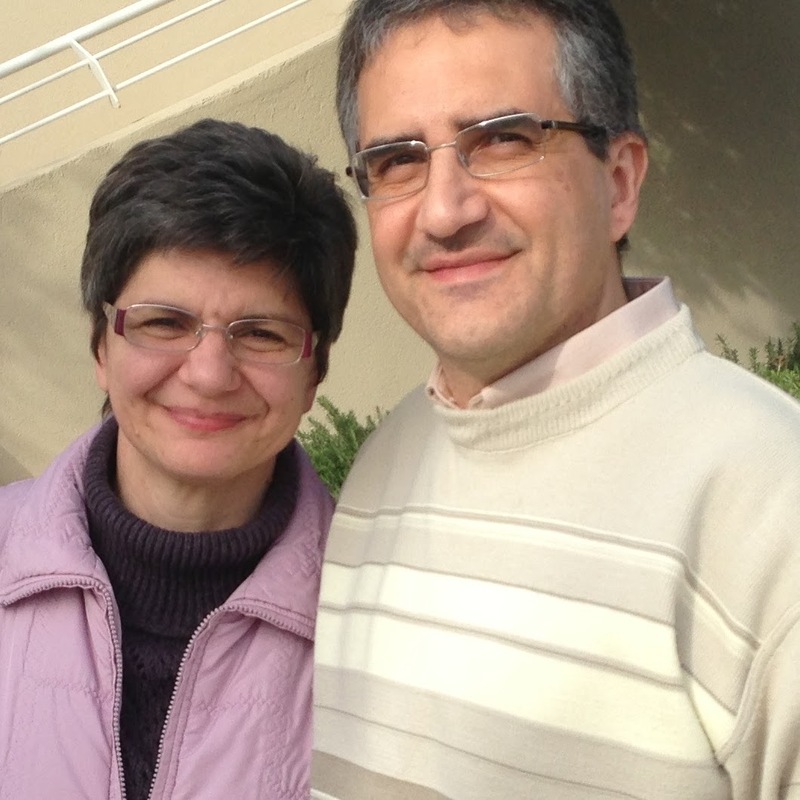 She is a member of Drachma Parents, a Catholic organization for parents of LGBT people in Malta, and she is also an active member of the Lay Community at MSSP Oratory Church, B’Kara, Malta. This post is based on a recent talk Mrs. Laferla gave at her parish community. She was the first laywoman to do so. The Visitation of Mary and Elizabeth: Luke 1:39-45. Each year, during the week before Christmas we are presented with ordinary folk whose life was marked by God’s extraordinary calling. These are Elizabeth and Zechariah, Mary and Joseph, God-fearing people who for me were always so far removed from my own daily experience. My outlook changed when I discovered that I am the parent of a gay son. Being Catholic, and actively involved in pastoral ministry and spiritual companionship, I brought my own question to God, very similar to Mary’s at the Annunciation and Zechariah’s when he is told of Elizabeth’s pregnancy: “How could this be?” How could this be that I continue to serve You within the Catholic Church while at the same time wanting to be true to who I am as the mother of a gay son? 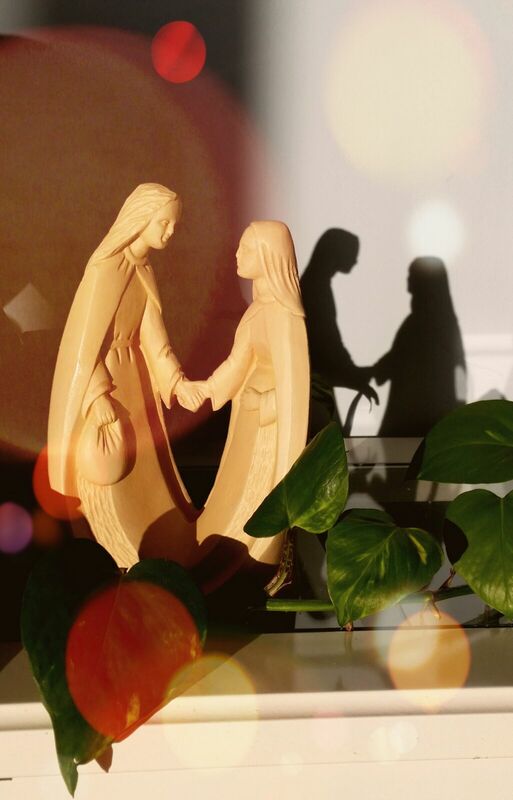 In my own “coming out” process, which many parents of LGBT people experience as they come to accept their new family reality and share it with others, I have come to realise that Mary and Joseph went through a similar process. As Elizabeth Sextro rightly puts it in the Scriptural reflection for the Fourth Sunday of Advent which was posted here on Bondings 2.0, we seldom hear of Mary’s courage to say ‘yes’ though her experience of getting pregnant out of wedlock would have meant death. We also never hear of Joseph’s trust in taking Mary as his wife, and believing it was God and not some other man who was involved in her pregnancy. Similarly, we do not hear about how much gossip was made about them, but we have hints of it in the gospels if one is attentive to certain details. Similarly, one of the main fears I had to face as the parent of a gay man was the gossip in our Catholic circles. I let Mary and Joseph become my mentors in trusting God and experiencing freedom while keeping true to what I felt I was called to do and be as a mother. I believe it was not only courage that Mary had, but also her deep faith in His Word that God does not leave ‘his little ones’ alone. As a sign of God’s accompaniment, Mary is given Elizabeth, another ordinary woman who felt ashamed for not having borne any sons. Elizabeth is not only a sign but a companion in experiencing God’s unusual ways of showing His glory. In my coming out process, I was also given an Elizabeth, another Catholic mother of a gay son, who was ‘older’ as she had passed through the same coming out process some years before me. My first encounter with her left me with a joy that reminded me much of what might have transpired between Elizabeth and Mary! We were given a gift and a mission in life, that we would have never thought of before, were it not for our gay sons! Most of all we were given a special gift of friendship. And we both had the desire to be Elizabeths to other parents in their coming out processes. So, just before Christmas, I offer a prayer of gratitude for all the Elizabeths in our lives, the persons who one way or another, have encouraged us to continue on this unique faith journey, sometimes against all odds, but with peace and joy, knowing that God never abandons those who trust in Him. Blessings to you and your family always. Louise ~ Bless you and thank you for sharing with us this beautiful story of God’s gracious love for you in giving you a gay son. . . and the grace to recognize the faith companions in your discovering and recognizing this action of God in your life’s vocation. As you tell your story on the occasions God gives you, remember that like Mary you too proclaim the gracious Mercy of our Father continuing His work within you. Rejoice and do not be afraid. He is doing great things in you. . . Holy is His name!